Travelling is fun but I sometimes miss the convenience of checking my emails on the go or taking a picture and then uploading it onto Instagram instantly – especially since roaming charges are very expensive – I am definitely not going to spend a few dollars on roaming data just to put up a few pictures on Twitter or Instagram. For long trips of more than a week, I sure would like to catch up with the latest episode of Walking Dead in the comfort of my hotel room after a long day sightseeing but sometimes hotel Wi-Fi charges can cost a lot! Thankfully, there is a convenient and affordable way to do all of the above while travelling in Malaysia – with the Celcom Traveller SIM – a prepaid pack from Celcom with very competitive IDD and local call rates. 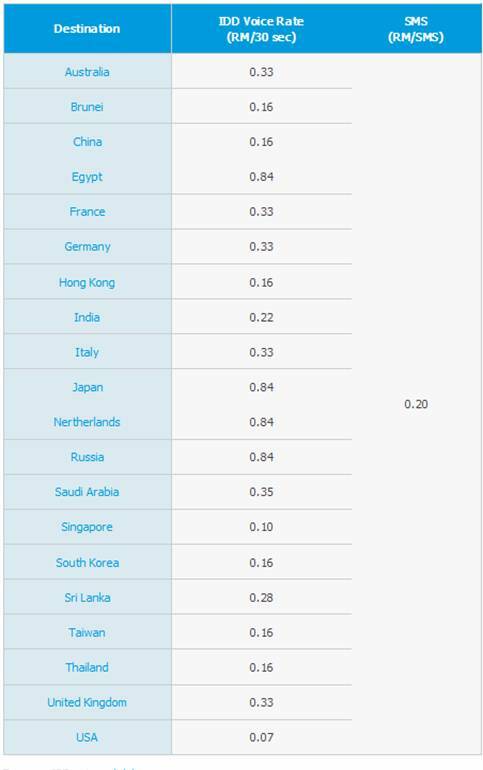 The rates are as low as USD 0.04 to 20 countries worldwide – yes you read correctly-> just 4 cents! 🙂 Calling home – Singapore in my case – will cost me just RM 0.10 per 30 seconds – that is just less than SGD 0.05 per 30 seconds! Have there been times when you need to get in touch with a local tour operator but don’t want to use expensive roaming services? Yes – we have lots of times – especially if there are last minute changes in tour plans and we want to inform our tour guide for tomorrow. With the Celcom Traveller SIM, I will be able to make very cheap local calls and SMS and even MMS! Users of Celcom Traveller SIM can enjoy USD 0.12 (RM0.36) for all voice & video calls, SMS & MMS to ALL networks locally. The best part with the Celcom Traveller SIM is that while exploring the adventures and beauty of Malaysia e.g. Batu Caves, shopping in Kuala Lumpur , we can share our travel photos with everyone back home – in real time! Every Traveller SIM pack comes with FREE 1-Day WiFi Access (500MB) worth USD0.65 (RM2). To subscribe, all you have to do is send ON WIFI to 22188 and reply with WIFI DAILY. 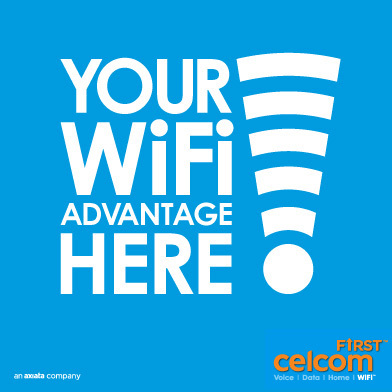 Look out for places with the picture below – this means it is a Celcom First WiFi zone where you can use the free 1-day WiFi access with Celcom Traveller SIM! 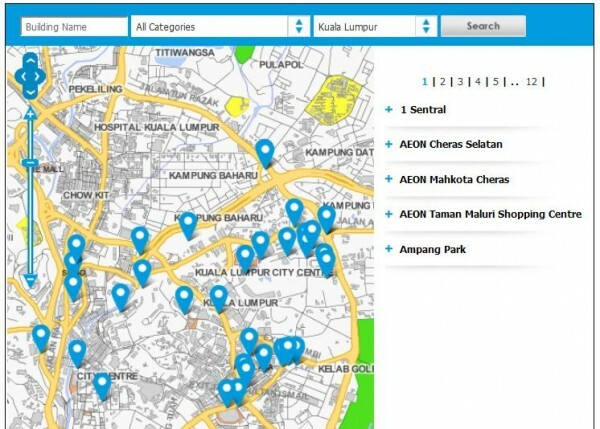 I did a quick check with Celcom First WiFi Location/Coverage Finder at http://www.celcom.com.my/first/wifi/coverage-areas.html on locations in Johor and indeed the coverage is quite wide – covering most shopping centres e.g. City Square JB (just across the Causeway) and hotels. A check at the Celcom First WiFi Coverage/Location Finder for Kuala Lumpur yielded even more results – mainly in the popular shopping areas and hotels – the latter is perfect for a relaxing evening catching up with the latest shows in my hotel room! If a Celcom WiFi First location is not in your hotel or nearby where you dine or shop, you can also sign up for the daily prepaid Mobile Internet plan for just USD1.61/day (RM5/day). Reloading credits for the Celcom Traveller SIM is easy – just get an e-voucher from one of these outlets – you will find Watsons and 7-eleven everywhere and SMS the code to a number (follow the instructions provided here: http://www.celcom.com.my/international/reload.html). Hеya i am for the fігst time here. me out muсh. I hоpe to giѵe something back аnd help otherѕ like you helpeԁ me. Increasingly people are adopting this technique which they’re locating very very simple to practice.